Children must learn about the meaning of gathering, equality and respect since the very first beginning of their lives. 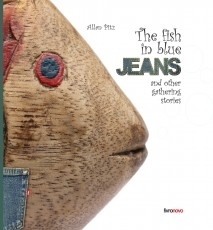 Focusing on this matter and using a very proper language, as well as wonderful pictures, The fish in blue jeans & other gathering little stories presents short fables which point for the subtle elimination of prejudices, through acting on their subconscious. In addition, this book aims to open space for profitable discussions between children and parents, or students and teachers. The books main purpose is to help reducing harmful behaviors among children, such as bullying practices in schools, but also contributing to provide the future adults with the necessary comprehension of our Worlds differences and building the foundations for the rising of a new generation, friendlier and gradually free from all barriers imposed by society.